Cool! Have a great 4th! I have an award over at my blog for you. Drew was much cuter back then. Very Cool. I am a huge fan of Drew Barrymore. You have some really awesome stuff in that trapper keeper! Can't wait to see what you pull out next! She sort of grew up to be one of Hollywoods spoiled brats, if you believe the tabloids. 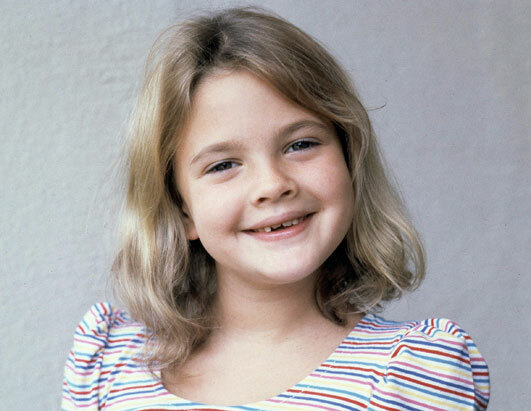 I was just thinking how gracefully Drew Barrymore has aged, and how I'm glad she's about my age. That is very cool that you got that and even cooler that you saved it! 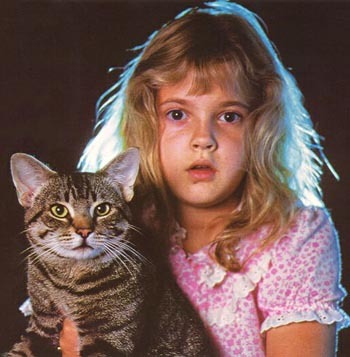 Aw..I love Drew Barrymore. I don't blame you for holding onto that autograph. I wouldn't sell it on ebay either. Some things are worth holding onto. I'm suprised you have all of this stuff still! I have moved so many times that I can't hang on to too much, I don't even remember if I wrote that many stars. CONGRATULATIONS on bypassing 500! That is amazing, as are you! Thanks for the bday greetings Ally. I had a great week away and am not getting caught up. That is cool! I always said if I had to look like any celebrity I'd choose Drew. She just has her own thing going on and I appreciate that. She doesn't look like every other actress out there. I don't think she' the greatest actress but hey, she has presence. Cool photo! Liked Drew in the earlier films, but I personally think her best role was her cameo in Wayne's World 2. She looked great and had a swedish accent. woah...that's neat! I have an authentic, now that I looked at it enough, autographed letter from New kids on the Block. <---not recent, it's from the 90's. And an autographed glossy from Soliel Moon Frye(aka Punky Brewster) I was even her for Halloween 1985! My big thing though in the 80's, was to send drawings to shows that would showcase them in different segments. I got one one Romper Room, 2 on Uncle Floyd(nj,ny,pa public access talk show) and one on Punky Brewster. I have an online buddy with an autograph of......get ready to be weirded out in 3...2...1.......Charles Manson. I know right? He sends long long pages and pages of letters about conspiracies to people who write him. Sometimes a drawing. I am dying to write him, just for laughs and see what I get back. She was a cute little thing in E.T. You are so cute! I also have my Kirk Cameron signed picture! I don't know if he did it or not but I love it! :) Great VLOG! haha, what would I have done for an autographed picture from Michael Jackson or Madonna back then? Cripes, I would have flipped out I'm sure.